Travel insurance covers the rider, and in some cases, the bike you ride—even for downhill mountain biking! 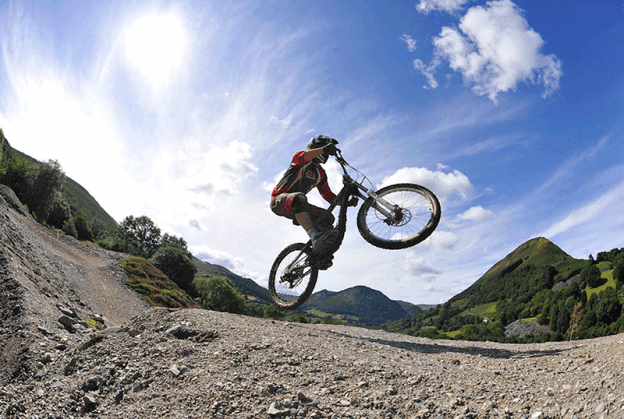 Below, we’ve answered common questions mountain bikers, cross country cyclists and downhill riders ask about travel insurance for mountain bike travel. 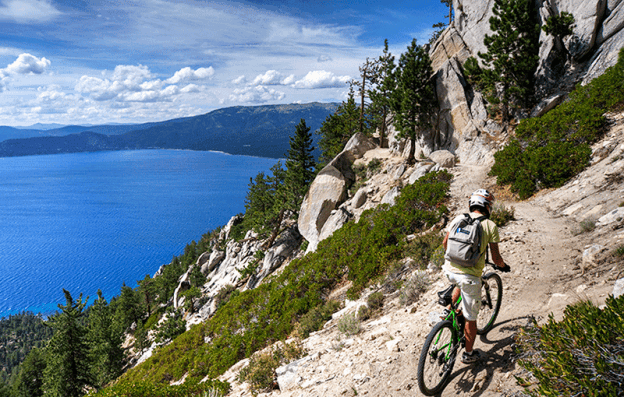 Why do I need travel insurance if I’m going mountain biking in another Canadian province? No matter the activity, your provincial health plan doesn’t cover everything, surprising as that may be for many Canadians! If you’re in a medical emergency or an accident in another province, you may have bills to pay, so travel insurance is necessary even when travelling within Canada. For any trip, but especially for extreme downhill or serious cross country mountain bikers, get travel insurance with the most comprehensive coverage. 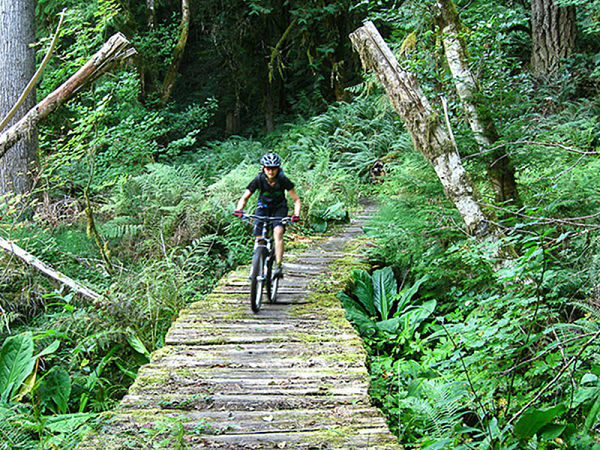 Our Emergency Medical policies provide coverage for cross country mountain biking. 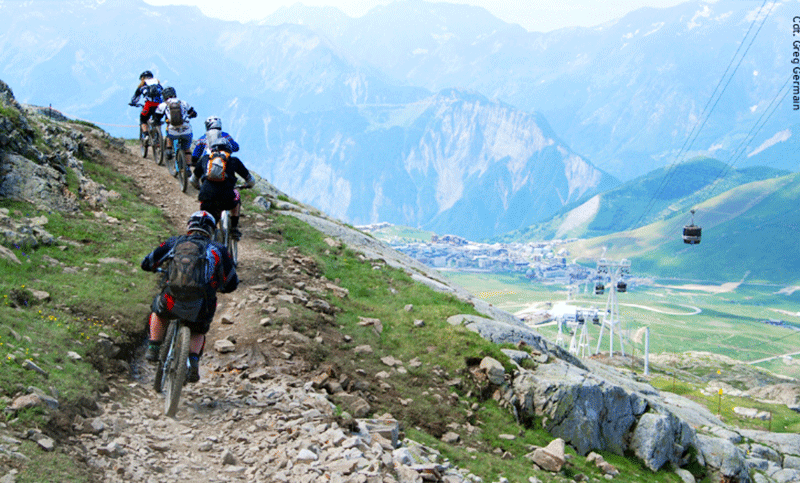 For downhill mountain biking, emergency medical will cover you when you purchase the Adventure Sports Optional Coverage. Trip Cancellation/Trip Interruption insurance is a good idea if you’ve reserved expensive flights, travel plans, or accommodations in advance, especially if you’re in a group. If one of your travelling companions is injured on the trip, you’ll be covered by Trip Interruption if you have to cut your trip short or return home early, (that is, if their claim meets the policy’s terms, of course). What should I consider about the drive or approach to the trail? Chances are you’re travelling by car or truck to your destination, with your bikes on the back. If you get in a car accident while driving, here’s more info on how we get your vehicle home. This includes bikes too. Motor vehicle accidents can happen, involving several different insurers before travel insurance is involved. A BC resident is also covered if you’re an owner of a registered ICBC vehicle or a member of the household of a vehicle owner (without having a driver’s license). Other Canadian provinces aren’t as liberal on their coverage and don’t seem to extend coverage to pedestrians or cyclists involved in a motor vehicle accident. I can’t say for certain for all insurers in other provinces as most are private insurance and not crown corporations. This means they all have different benefits. We had a claim last year where a woman was struck by a car while riding her bicycle. She didn’t have a driver’s license or own a vehicle (and nobody in her household did either). In other words, she didn’t have any vehicle insurance coverage. Good thing she had travel insurance, though! What about storage and bike theft? Travelling with mountain or cross country mountain bikes on planes and general prevention of bike theft abroad are a challenge. If you’re flying with your bike and you’ve checked it on the plane, our Baggage insurance covers any cost due to damage or loss not covered by the airline. If you don’t have home owner’s or renters’ insurance, baggage insurance would be a good idea. Tip: If you book accommodations at your destination, ask if there is a safe space to store your bikes or if they allow bikes in the room at all. What if I’m injured while biking in the backcountry or stuck on a remote mountain slope? Say you’re planning a cross country mountain biking trip: We cover helicopter and ground ambulance, and we even cover backcountry skiers and mountain climbers. As with all backcountry activities, knowing that you’re injured and need helicopter or emergency transportation makes a big difference on your trip. Be prepared though with a GPS, SOS beacon, maps and inform someone of your itinerary in advance. What do I need to know about travelling to the US for a mountain bike trip? For Canadians in an accident in the US, your coverage will depend on your home province. For BC, if you’re a cyclist or a pedestrian in an accident in the US or Canada, you’re only covered by your auto insurance (in BC, that would be ICBC) if you or someone in your household has a valid driver’s license. This is separate from your provincial health plan (like MSP). If you’re in a motor vehicle accident in the States, the insurance of the driver who caused the accident would be responsible, and both your vehicle insurance companies would be involved. If the other driver’s policy is found to cover the accident but it doesn’t have limits high enough, then your auto insurance would kick in. Outside of North America ICBC or other provincial auto coverage doesn’t apply at all. If you’re participating in a biking event with prize money, you’re considered a professional, and most travel insurance policies will not cover your costs in the event on an injury. However, TuGo will cover you for downhill mountain biking (as a part of a race or not) if you buy Adventure Sports Optional Coverage. This excellent article by Mark Matthews does a great job explaining tips for professional riders. If you have any other questions about mountain biking and travel insurance, leave a comment below! Please help me find an affordable medical insurance for my mother abroad, we are inviting her to visit Canada this summer she is 82 years old, with pre existing condition. I need travel insurance for vacations abroad that are predominantly bike tours or adventures snorkeling in hawaii (for example), where me and my pals also cycle daily for anywhere between 2 – 8 hours, and go hiking at 5000′ – 10,000′. Do I need to get any extra coverage than the basic? I also have a chronic inflammatory arthritic condition – that flares periodically. please advise – Thanks! Thanks for checking in with us! We cover many adventure activities, including everything from mountain biking and scuba, to snorkelling and mountaineering, but we do need more information about your travel plans and the stability of your medical condition before we can advise you about travel insurance that will suit your needs. Find the information you need by connecting with TuGo’s Customer Service team. You can call us toll-free on 1855-929-8846 or email us at info@tugo.com.